Okay, so this is the last installment of the 'A New Year's Knitter' series. 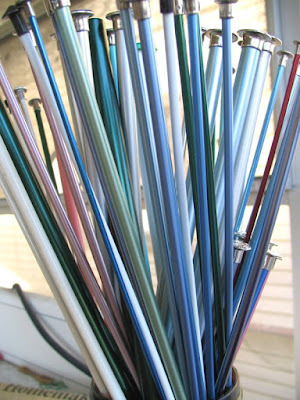 So far, we have discussed cleaning up (and out) your stash, your needles, and your patterns. Today we will discuss the what is perhaps the hardest clean out of all -- the WIP pile. You can do it, however, because we've built up your ruthlessness over the month. You have steeled your heart to rid yourself of Stash that you no longer like, Needles that no longer have a mate, and Patterns that you admit you will never get around to knitting. Be strong -- this one will be like a bandaid -- do it quickly and the it will hurt the least. I promise. Nearly every knitter on the planet has more than one Work In Progress at any given time. It seems impossible to work on one project in every circumstance. That sweater you have been slaving away on at home is impractical to work on in the line at the bank, or at a red light, or on the commuter train -- so you start another project. Unfortunately, this happens to a lot of knitters -- and it happens a lot. Projects get stored away for another day for all kinds of reasons -- they're boring, or the color is monotonous, or you realize that baby is now in middle school and no longer needs a baby blanket. Whatever the reason, they are stored somewhere. In your house. 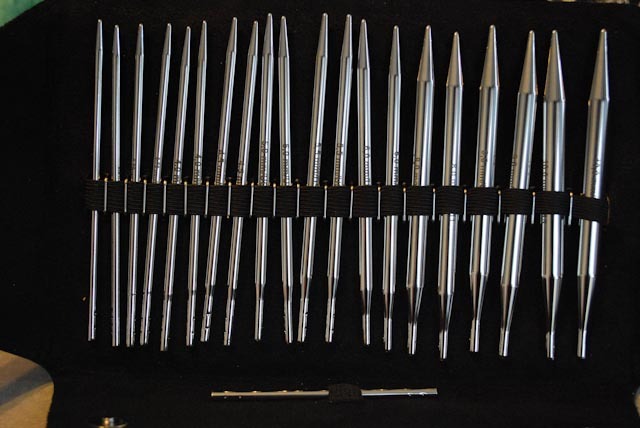 Taking up your needles. And your yarn. And they make you feel guilty when you see them. Well today you will cut yourself free. Step 2 - Be honest with yourself as you go through each and every WIP. Why did you put this away in the first place? Did you hit a wall? Was there a mistake you couldn't face correcting? Will you really finish this? Does your son still have size 4 feet? Divide these WIPs into two piles: One you will finish, and one that needs to be Frogged. Step 3 - Steel yourself! *Take a WIP from your Frogged pile and RIP IT OUT. After you're done, go wind that yarn back into a ball. Repeat from * to end of pile. Step 4 - Make sure you add that yarn to your Ravelry Stash and remove the WIP project from your active projects. 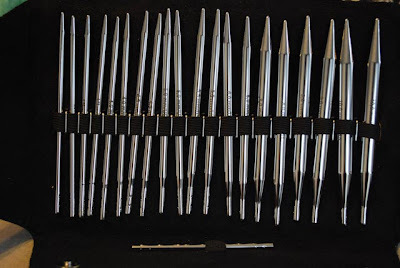 Also be sure you counted these needles when you worked Part 3 of A New Year's Knitter -- if not, add them to your Ravelry Needle stash. Step 5 - Sort and queue your remaining WIPs. Then be sure to work on these until they are complete. This should not be a problem -- remember that you have determined they are worth completing! Step 6 - It's worth identifying where these WIPs should be kept -- in the car, at work, by the bed, or in your knitting chair. Place them each in their own WIP bag along with what you'll need to work on them (scissors, cable needle, etc...) and put them in their 'spot'. So there comes a time when a knitter has to say, "Enough. I own knitting patterns, they do not own me...". Step 1 - Gather all of them together in one place. As usual, you must make a mess before you make progress. Search everywhere -- under couch cushions, in piles of other paper, on the finished tray of your printer, in the bathroom, on the fridge, and obviously in your cookbook library... Also, don't forget those on your computer as pdf's and ebooks. Step 2 - Sort through each pile. Identify those books/magazines/pattern pages/ebooks that you will never use. As before with needles and yarn stash -- be honest with yourself. Do you really need that Cast On magazine from 1983?! Discard any that you no longer love or need. If they're books or magazines, either throw them out or donate them to your local Guild, LYS, or Library. 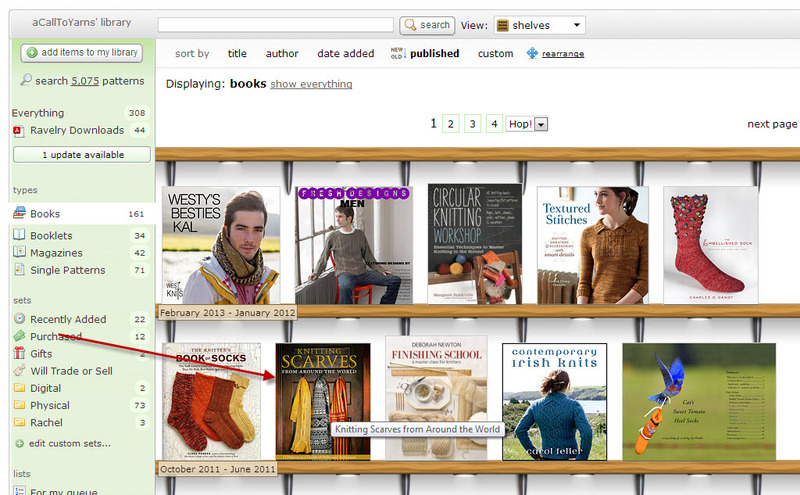 Step 3 - Enter those patterns, books, and magazines that you want to keep into your personal Ravelry library. The Ravelry library database has half a million patterns in its system and when you add what you own to your personal library, Ravelry will identify a match and keep track of the individual patterns that you own. That last bit is important so let's review that point again -- If I enter a book with 128 patterns in it in my Ravelry library, and then I later decide I want to make a pattern I found through the pattern search tool that exists in that book, Ravelry will tell me that it is in my library already. This means that I am not responsible for knowing every pattern in every book and magazine I own. 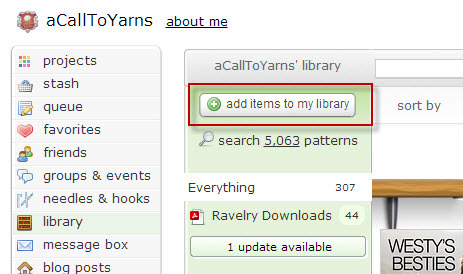 I can't count the number of times I have settled down for a good Ravelry pattern browsing session and by the end I've picked out a pattern I want to make and when I go to purchase the pattern, I get a notification that it already exists in my library. I cannot speak for you -- but I think that is really, really cool. For this reason alone, it is worth it to avail yourself of this feature. It prevents you from re-purchasing patterns you already own. 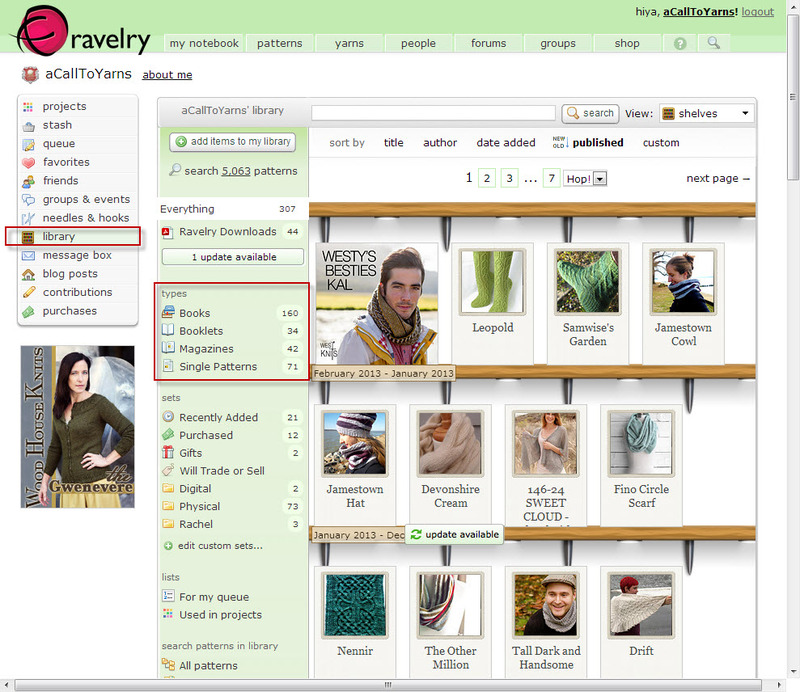 This is a very useful feature and it works just as well for magazines, booklets, and single patterns! Once you are done, store your pattern library in a single place convenient to your crafting space. For me, that would be in a bookcase in our office/craft room. Add the books as they are and the magazines in a magazine holder. But the single patterns are best stored in three ring binders. I like to place mine in plastic sheet protectors and then put them in the binder. 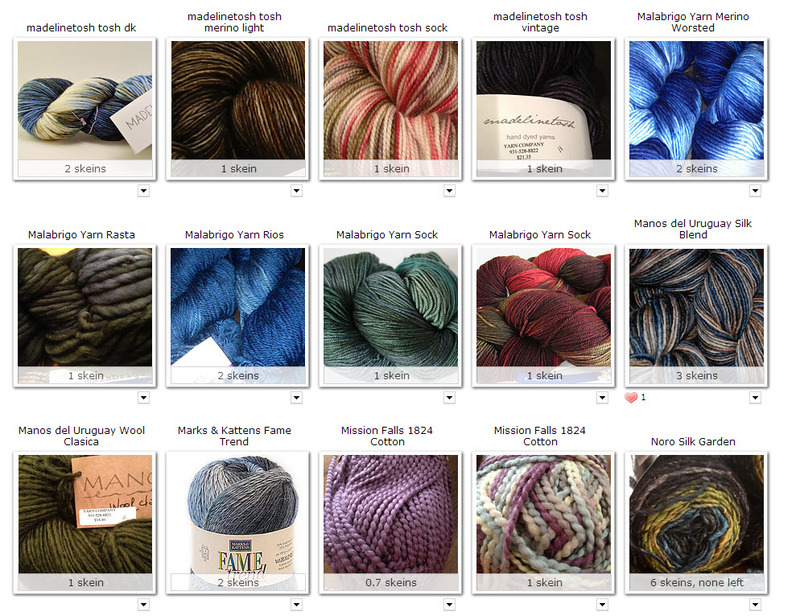 You can then organize them any way you want -- by yarn weight, by item type, by queue, etc... 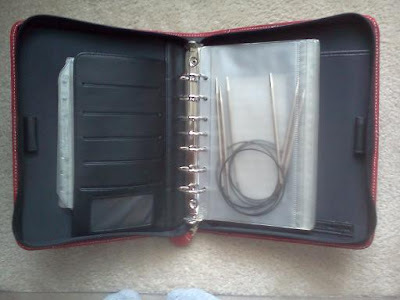 This binder then sits neatly on the bookcase with the rest of your physical patterns. 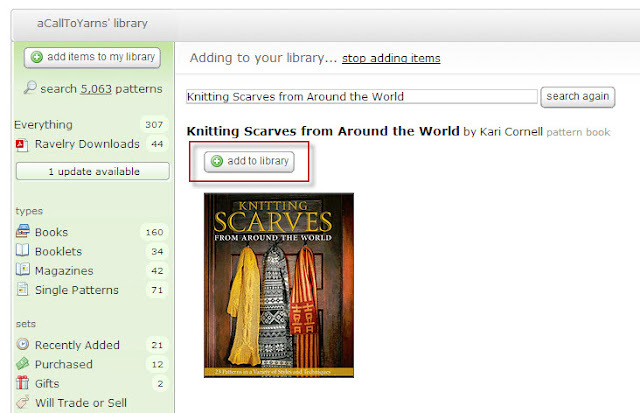 Step 4 - Repeat this process with your digital library. Organize them in a single folder on your computer however you like. I prefer to organize mine by [Last Name, First Name M.I. - Title]. And there you have it -- you have de-stashed your pattern library and whipped the rest of it into shape. Congratulate yourself on a job well done! Next up we will beat down those WIPs! Joining Steph@Woolythyme and Linda@Natural Suburbia for Creative Friday! It started out so simple. It really did. It was even kind of inconspicuous and easy to miss before things went awry... You see I started crocheting when I was six. I started out with a single ball of yarn and an extra crochet hook my grandmother didn't need any longer. I made lots and lots of potholders that loosely resembled a trapezoid or parallelogram. Eventually I got better and I started buying yarn for specific projects -- but even then I was so little that one project at a time was enough. In those days, there was no STASH. But then the days of my love for acrylic yarns grew weary and I ventured into my first LYS and I got the fever. You know the one. The fever which only lots and lots of protein fiber fumes can abate? Yeah that one. It started out as a bag of yarn in the closet. It was always there, waiting for me to come for it. For some years it waited a long time and I think that's when the seed of greed took hold. When I finally learned to knit and my projects started taking longer to complete than I could go without buying yarn, it started to grow. Like the cookie monster and his prey, I threw yarn into the stash that was never seen or heard from again. In the dark it grew. And GREW. When we moved into the new house, we had to make sure there was a room for it. When my beautiful wife started knitting, we suddenly had a pair of them and I knew that something would have to be done. Our constant fiber exposure would eventually mean that the house was too small for us and the stash -- and I draw the line at it having its own property. This January, I figured it out. I finally realized that the only way to persuade myself to knit from the Stash was to know what was in it. If this situation sounds familiar to you, please join me in beating back the Stash! To achieve Stash Behavioral Modification (SBM) and become ZEN with your fibery mass, consider the following approach. A LOT of floor space, preferably CLEAN floor space. 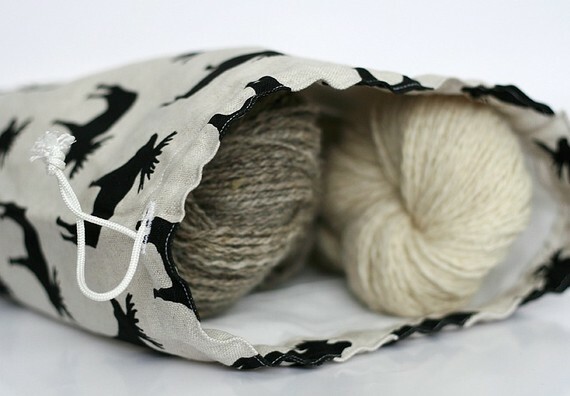 A well managed stash can be attained through the help of Ravelry (and it should help because the ease with which it provides knitters access to trending patterns and yarns is partially responsible for the ever-occurring STASH Monster...). Ravelry gives you a place to store, favorite, and queue patterns. 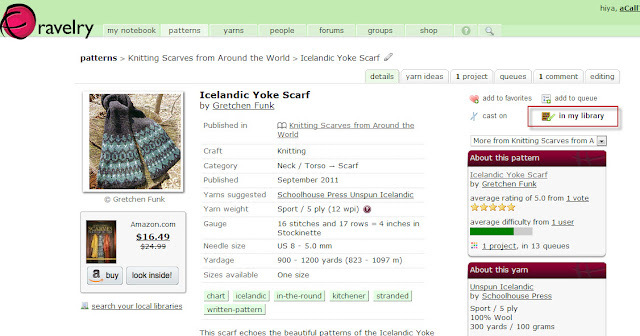 It also gives you a place to manage your yarns -- even with a picture of each one should you so desire. The first step is to print out or make working copies of patterns for which you have already purchased yarn. Enter the yarn in your Ravelry Stash. Place yarn and pattern (and any other required materials -- i.e. beads, waste yarn, buttons, etc..) into the zip lock bag and seal it up. Add the pattern to your Ravelry Queue and "Use Stash Yarn" on the queue item page to tie your stashed yarn to this specific project. Continue in this manner until you have bagged up each existing yarn/pattern pair. 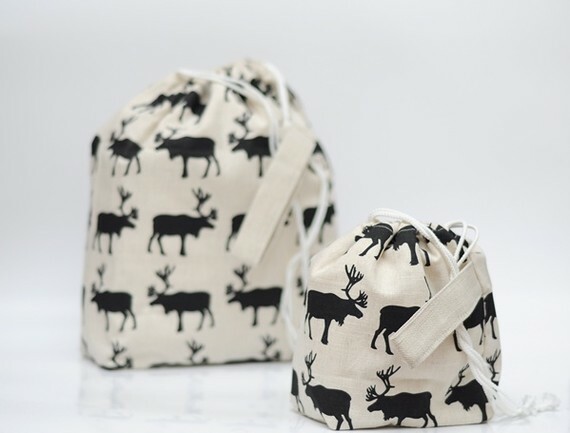 Next, find and print patterns for the yarns which you do not yet have a project in mind and bag those together after adding the project to your queue. Yarn that is part of your CORE stash. This yarn is special to you and anything you made with it would be a disappointment. Don't laugh, you know you have some. This yarn serves as inspiration for your inner knitting muse. Add it to your Ravelry Stash and then display it prettily in a cabinet somewhere. Leftover yarn from previous projects. There's not enough to really do anything with this, but there is too much to throw it away. It's decision time -- You must throw it away or sort it by weight and bag each weight with the intention of using it at some point for a traveller's blanket or a Beekeeper's quilt, etc... I would NOT add this to your Ravelry stash. Yarn you once loved but which has fallen out of favor. This would include any of those neon colors from the 80's and any of those oranges and greens from the 50's, 60's, or 70's... My suggestion for this is either A.) Start a charity knitting stash or B.) Donate/throw away this yarn. Again, do not add this to your Ravelry stash. 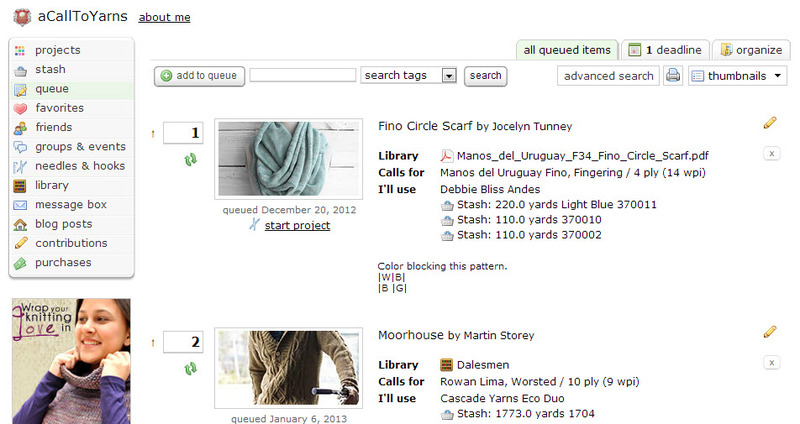 The only thing left to do is sort the queue order and store your projects as Long-Term, Short-Term, and Current WIPs. This process can be daunting, but I promise it's worth it. You will feel terrible about it while you are knee deep in your living room trying to sort this much yarn, but again -- it's worth it in the end. And, to be honest, the amount of time I know it will take me to knit my queue is enough to keep me from pulling out my charge card at the LYS -- or at least to keep me from pulling it out for yarn anyway! Good luck organizing your stash everyone! Next week we will attack needle control! So here's the thing. I hate New Year's Resolutions. I don't believe I have ever made one that I was able to hold on to throughout the entire year. But I think that part of that has always been my choice of resolution. So many people this time of year resolve to lose weight, stop smoking -- the problem is that those resolutions are usually doomed from the onset of the fresh start of a new year. Well, I don't smoke so there's that one, and although I could afford to lose some pounds, that needs to be more of a lifestyle change and not a New Year's Resolution. So I've decided to commit this year to activities that I enjoy. Given the utter and complete chaos that last year brought for R and myself -- and the way that affected my blogging -- I've decided that this year I will blog more often. My goal is at least once a week. It shouldn't be that hard and it should be routine. Until then, Knit the New Year everybody! Last evening I spent some time "remembering" 2012. It has been a really long time since I have been able to look back on a year in a completely positive light. 2012 was a very good year to R and I and it feels really good to revel in the happiness it brought. We made some really good life choices involving our location, work, buying a house, expanding our family, and debt. I am thankful for each and every one of those choices -- they weren't always obviously the right choice, but I am happy with the result in each case. 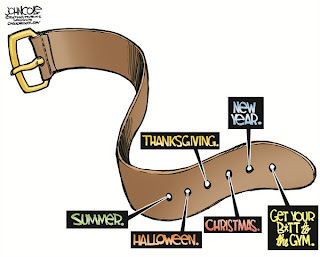 We are also thankful for the friends 2012 has brought into our lives. The move to Memphis brought us home and also involved us in a community -- which is something that we have been missing for the past several years. It feels permanent -- and that has allowed us to make growth in our friend quotient... :) R and I are now immersed in the fellowship of our LYS, the Memphis Knitting Guild, and in the wonderful new Cordova Knit Night that R started back in September. Today, two of our newfound friends came over to the house to join us for a meal (a healthy one of course to combat the holiday food hangover we all have ;), knitting, and a movie marathon. It was fun. It was more than that really, it was truly pleasurable. I don't know if they'll ever know what it means to us to have the opportunity to invite them into our home, to share a meal, and knit together. People say that one should end the year the way one intends to go on, and then that you should spend the first day of the new year doing what you want to fill the year with. To be perfectly honest, it sounds like a lot of work to me. I say just fill your days off with what makes you happy. Tonight I am headed to bed grateful that my house is clean and there's not one single thing during this day that I would have changed. It was perfect. 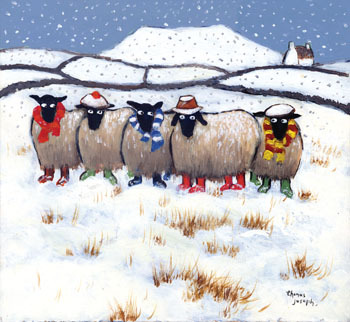 Wishing each and every one of ewe a very Happy New Year!